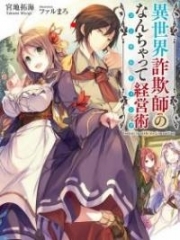 You’re reading novel Chaotic Sword God Chapter 167 - Auction Affairs online at LightNovelFree.com. Please use the follow button to get notification about the latest chapter next time when you visit LightNovelFree.com. Use F11 button to read novel in full-screen(PC only). Drop by anytime you want to read free – fast – latest novel. It’s great if you could leave a comment, share your opinion about the new chapters, new novel with others on the internet. We’ll do our best to bring you the finest, latest novel everyday. Enjoy! Although there were many mercenaries that sold monster cores, they were mainly low leveled ones. The higher leveled monster cores were less common to see, so if one really wanted to buy one, they would need to go to a store. The bigger the store, the higher quality the monster cores were. Plus, stores that sold monster cores had a huge supply in comparison to the mercenaries that only had 3 or 5 Cla.s.s 1 or 2 Monster Cores for sale. If some influential clans wanted to buy large quant.i.ties of monster cores, they would go to these stores to buy them. Entering the monster core shop, Jian Chen felt that despite being such a large store, there weren’t many people inside. There weren’t even any monster cores arranged out, with only a few female clerks that were working, but other than that, this place didn’t seem like a monster core shop at all. Hearing this, Jian Chen suddenly saw the light. This was only the first story of the store, but he hadn’t realized that this was how the store functioned. An incredulous look filled the clerk’s eye as she stared at Jian Chen. She didn’t know why such a handsome youth was trying to sell instead of buy monster cores. She had worked at this store for many years, but this was the very first time such a person came. Usually, it was always a group of burly men. Jian Chen immediately took out two s.p.a.ce Belts and handed it over the female clerk. In these two s.p.a.ce Belts were Cla.s.s 1 and 2 Monster Cores. The clerk took the two s.p.a.ce Belts and began to inspect the amount of monster cores inside. Quickly, a look of shock appeared on her face because the amount of Cla.s.s 1 and 2 Monster Cores in the s.p.a.ce Belts numbered to around 2000. This was the first time she had ever seen so many monster cores! Handing the s.p.a.ce Belts back to Jian Chen, she turned around and headed toward the second floor. Not too long after she had left, a man wearing an embroidered blue robe came down with the same female worker. “Shopkeeper Bai, this is the one that wants to sell monster cores.” The female clerk said as she brought the shopkeeper to Jian Chen. Jian Chen didn’t hesitate in bringing out the s.p.a.ce Belts for Shopkeeper Bai to see. Extending his hand to inspect the contents of the s.p.a.ce Belt, Shopkeeper Bai’s eyes suddenly widened in shock as well when he discovered the amount of monster cores within the s.p.a.ce Belts. “That we can do, please allow me to think it over for a moment.” The man laughed. Without any more talk, he led Jian Chen into a secret room so they could go over the monster cores. Once the monster cores were all counted for, the middle aged man had given Jian Chen a total of 5000 purple coins. Taking the purple coins, Jian Chen thanked the shopkeeper and walked out of the building. Riding his horse to a crowded marketplace, he began to buy several sets of clothing and other essential items for surviving in the outside world. Just then, the loud clamoring of the crowd caught Jian Chen’s attention. “An auction!” Jian Chen cried out to himself as he listened to the others talk. Now thinking about this, he no longer was in any desire to stroll around the area and immediately went back onto the road to return to the center of Phoenix City to find the place everyone was talking about. The building was exceptionally tall, despite being only two stories tall, it had already reached several dozen meters higher into the air than a four story inn nearby. Even the area it had covered was large as compared to the Mercenary Union which was roughly the same size. On top of the great big gates to the auction house was a three meter tall board that had the four words “Heavenly Phoenix Auction House” written in fancy calligraphy. There were many people coming in and out of the auction house as well. 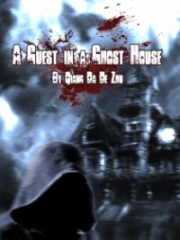 With a little hesitation, Jian Chen disembarked from his horse to enter the inn nearby the auction house to rent a room. After that he let the horse go. After a few days, Jian Chen strolled around before finding an isolated area. Where he took out some herbs from his s.p.a.ce Belt. After the time it took to boil a cup of tea, Jian Chen stood back up with a completely different look. This time he looked more like a dark skinned middle aged man with relatively ordinary looks. If he were to blend into a crowd, no one would be able to remember his face other than the fact that there was a little scar on the left side of his face. 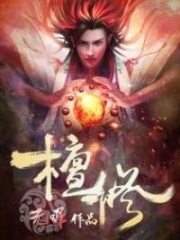 After disguising himself, Jian Chen swapped out his clothes and then headed toward the Heavenly Phoenix Auction House and then inside of it. After entering, he saw a steady stream of people walking in and out around him. By this time, the annual auction was about to start, so many people were already trying to register their own precious items for the auction. Just as Jian Chen had entered the auction house, a female worker had called out to him sweetly. 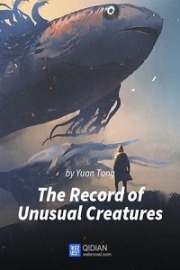 “Could you please bring out the official for this place, I have a few things to discuss with him.” A deep voice came from Jian Chen’s throat, he had even changed what he sounded like. “Yes, please wait for a moment!” The female worker studied Jian Chen before excusing herself from the area to walk further into the auction house. Jian Chen cupped his hands together as a greeting. 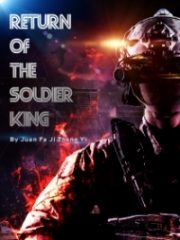 Hearing the words of Jian Chen, the elder’s eyes flashed before gesturing Jian Chen toward a secured room to talk. Jian Chen and the elder sat down on the opposite sides of a table. Although the room wasn’t all that big, the soundproofing was very good in here, so their negotiation could be done freely without the worry of anyone from the outside listening in. “Sir, you should have brought the item you wanted to auction off to Elder Xiu.” When the two sat down, the elder couldn’t help but say that. “Haha, Elder Huang, I wanted to auction something, but it must remain confidential.” Jian Chen laughed before taking his s.p.a.ce Belt out. “Then you can rest easily, our Heavenly Phoenix Auction House is well respected among all cities and will not divulge even the smallest bit of information to anyone.” The elder smiled before inspecting the s.p.a.ce Belt given to him. 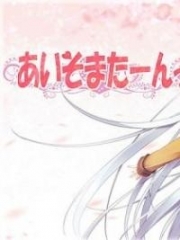 You're reading novel Chaotic Sword God Chapter 167 - Auction Affairs online at LightNovelFree.com. You can use the follow function to bookmark your favorite novel ( Only for registered users ). If you find any errors ( broken links, can't load photos, etc.. ), Please let us know so we can fix it as soon as possible. And when you start a conversation or debate about a certain topic with other people, please do not offend them just because you don't like their opinions. 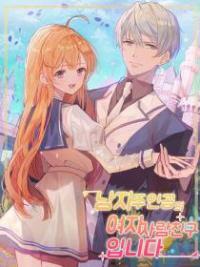 You're reading Chaotic Sword God Chapter 167 - Auction Affairs. This novel has been translated by Updating. 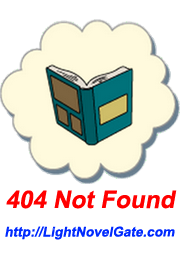 Author: Xin Xing Xiao Yao already has 12424 views. Current Time is Apr-24-2019 12:21:10 PM.